However the advances our higher education system has accomplished have not been optimally used to improve the overall education system and classroom practices. I argue in the ensuing discussion, as we mark fifty one years of independence, that the failure to use the higher education system to improve the quality of teaching and the teaching profession has cost the country in development terms. Can Malawi afford to make teaching a high-prized, coveted profession? The road to independence was tortuous and meandering. The first Malawians to become cabinet ministers were sworn in four years before independence. That year, 1961, Malawi’s population was 4 million people, according to the late Kanyama Chiume (1982), in his eponymous autobiography. In that year, the country had 30 university graduates, 7,100 Standard 8 candidates, and 500 secondary school spaces. As the first Minister of Education, Chiume knew that enrollment needed to rapidly increase at the primary, secondary and tertiary levels of the education system. He devoted the short time he spent as Minister of Education to pursuing that goal. The efforts paid off. As independence came and Malawi poised herself to enter the decade of the seventies, enrollment at the primary level was expanding exponentially. According to Harvey Sindima (2002), by 1970 Malawi’s primary school enrollment had shot to 333,102, while that of secondary schools has increased to 9,686. A total of 977 Malawians were attending the University of Malawi. For the next two decades, the numbers kept doubling, as did the national population. By 1990 Malawi had 1,325,453 primary school students, 16,432 secondary school students, and 1,620 university students. Expansion at the primary level did not correspond with expansion at secondary and tertiary level, leading to the lowest higher education enrollment rates in the world fifty years later (Government of Malawi, 2014). But Kamuzu’s penchant for prestige was best personified in the magnificent Kamuzu Academy, founded in 1981. An elite secondary school, it has educated a significant number of Malawians providing leadership in the public and private sectors, and internationally. During Kamuzu Banda’s reign, civil servants, including teachers, were posted to any part of the country, according to need. It did not matter where one came from. In 1989, Kamuzu Banda announced at a political rally that some teachers teaching away from their districts of origin were not dedicating themselves fully. He decreed that with immediate effect, teachers who were teaching away from their home districts should relocate to their home districts. Most districts in the country were affected by this decree, as some lost huge numbers of teachers. Some have argued that teachers from the northern region of Malawi were the most affected. Thousands of them had been teaching in the central and southern regions, and were forced to return to the northern region. But there were also schools in the northern region which lost teachers as well. Some believe that the quality of education was drastically affected by this decree. In the absence of a substantive, detailed analysis, the jury is still out as regards the merits and demerits of the decree. In terms of keeping pace with the population and providing quality education to as many Malawians as possible, doubling enrolment rates over the decades was insufficient. There was need for much more rapid rates of increase. That was left to Dr. Bakili Muluzi, the man who succeeded Dr. Kamuzu Banda to become Malawi’s second president. Muluzi pledged universal primary education, which entailed removing school fees from primary education and making it free. It became his first major education reform as soon as he was sworn in as president in 1994. The number of primary school learners went up from the 1.9 million it had reached in 1993, to 3.2 million in 1994. The Muluzi government recruited 20,000 new teachers that same year to become student teachers, teaching during the school year, and undergoing training in college during the holidays. It was during Muluzi’s presidency that teacher development centres (TDCs) were introduced, numbering 315 across the country. The school inspection system was transformed from district-based inspectors to zone-based advisers, also numbering 315 to match the number of TDCs. Regional education offices (REO) were turned into education division offices, led by Education Division Managers (EDMs). The number went from three regional offices to six divisional offices. A very ambitious plan to expand access to secondary school education envisioned the construction of 250 community day secondary schools. This would have increased the primary to secondary school transition rate from the erstwhile 11 percent, to 70 percent, according to Roy Hauya (1996). The country was able to establish new community day secondary schools, but not numbering the promised 250. In higher education, Muluzi’s administration gave Malawi its second university. What was Mzuzu Teachers’ Training College was converted into Mzuzu University, and became operational in 1999. 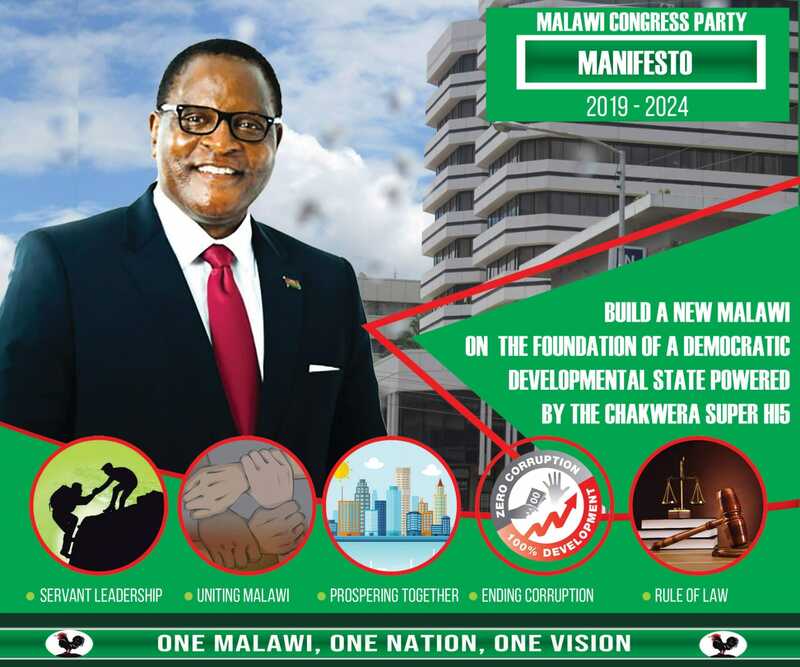 By the time Muluzi left office and was succeeded by Dr. Bingu wa Mutharika in 2004, the education system had come to be characterised by failures resulting from the shock of UPE. Class sizes had ballooned into hundreds, particularly for lower primary, and teacher morale was very low. Teaching and learning materials became scarce, and physical structures were in a state of disrepair. Bingu wa Mutharika sought to stabilise the system by pledging to adequately fund the sector at all levels from primary to tertiary. In his first term, from 2004 to 2009, the system experienced relative stability. Mutharika had big plans for higher education. Talk of a new university started in his first term, and in his second term construction of the Malawi University of Science and Technology started. The university had initially been intended for Lilongwe, the capital city, but Bingu decided to move it to his home district in Thyolo, on land he said he had donated for that purpose. By the time Bingu died in April 2012, the university was still under construction. It would be completed and opened during the presidency of his successor, Dr. Joyce Banda, becoming Malawi’s fourth public university. During Bingu’s presidency, Bunda College of Agriculture, a constituent college of the University of Malawi, became an independent university. That brought the number of public universities in the country to three. Private universities, which were almost non-existence during Kamuzu’s time, began thriving during Bingu’s presidency. The government also moved to start regulating the higher education system, and the National Council for Higher Education was formed, becoming operational during Joyce Banda’s rule. The two years Joyce Banda was president of Malawi were not enough for her to leave large visible footprints on the system. However it was while she was president that the country witnessed an unprecedented emphasis on girls’ education, an idea she championed both in public and in private. Towards the end of her tenure the Ministry of Education, Science and technology launched the National Girls Education Strategy and the Girls’ Communication Strategy. It was a befitting moment for Joyce Banda’s efforts to highlight the importance of keeping girls’ in school and reversing the troubling trend of so many girls dropping out due to early marriages. There was a visible attempt during Joyce Banda’s presidency to bring teachers’ welfare to the fore. This was seen by some as an attempt to placate teachers after Dr Banda had made remarks that teachers had construed as demeaning of them. On two occasions she had alluded to how cattle farmers made more than teachers, betraying a lurking contempt. The effort to address issues of teachers’ welfare came toward the end of her presidency. Joyce Banda’s last Minister of Education, Dr. Lucious Kanyumba, toured the whole country and met teachers. He spoke about what the ministry was doing to end chronic problems of late salaries and low teacher morale. Teachers told him of their problems. Coming during the high campaign season, with weeks to go before the election, many teachers saw it as a campaign ploy. When Professor Peter Mutharika took over from Dr. Joyce Banda in May 2014, he picked up from where he had stopped during his older brother’s presidency. As Minister of Education in the late Bingu wa Mutharika’s presidency, Peter Mutharika first introduced the idea of community colleges in 2010. As soon as he was sworn in, he set about accomplishing that task. Midway through 2015, some community colleges have already started operating. President Mutharika has already embarked upon a project to construct another new university, in Mzimba district. However at the primary and secondary school levels, the problem of teacher morale, the most significant of the problems afflicting Malawi’s education system, is getting worse. Today, anger amongst Malawian teachers has become so pervasive it severely corrodes the education system. In the first of 2015, salary delays took a turn for the worse. Leave grants and rural hardship allowances went unpaid for several months and many teachers in many districts stopped teaching. With communication from the ministry not forthcoming, teachers resorted to asking fellow teachers on facebook groups for updates. It is frightening to imagine how these angry, bitter, frustrated and demoralised teachers are treating children under their care. Despite the difficulties, there are many teachers who continue dedicating themselves. There are teachers who are unleashing their creative energies in their classrooms and schools, inspiring children. There are teachers who are so hungry for more education and professional development they are going out of their way to find opportunities. There are Malawian teachers using the power of the Internet to connect with other teachers in Malawi and around the world. Most of them remain unrecognised and unrewarded, but they continue, undaunted, aiming at a higher prize: national development. The first fifty years of Malawi’s existence as an independent nation have had their highs and their lows. When few Malawians had access to education, the quality was commendable. When more Malawians were afforded the opportunity to go to school, quality plummeted. Quality and quantity need not be mutually exclusive. The starting point for improving quality while expanding access needs to be the quality and welfare of teachers. As we turn fifty one years old, this needs to be top of our educational agenda. What we have learned from the best educational systems on the planet is that investment in teachers is the most important factor for national development. When the teaching profession is highly prized, prestigious, and rewarding, it can propel a country to greater heights. The creative possibilities from committed and motivated teachers are endless. They become a catalyst for development in many sectors. Malawi still awaits a president who will have a profound understanding of how an empowered and highly educated cadre of teachers, particularly at primary and secondary level, as well as at tertiary, can transform the nation. Will Professor Peter Mutharika be that president? Note: A version of this article appeared in the April-May issue of TheBusiness Journal (Malawi), published by The Student Media Group. The most shameful story is that from Banda s times to Bingo s times only 3 percent of Malawians were educate 97 percent were just illiterate voters in a small farm. Those related or friends to the pig enjoy. While ‘half man half biscuit” is right, GABLE project came in in 1993 not 1994-Americans told advantage of the situation and pressed for the policy change to now allow pregnant girls/teen mothers to go back to school. It’s the coming in of multiparty that facilitated the policy way before MULUZI was elected and after banda weakened by referendum of 1993. None of the presidents brought Gable, malawians did by choosing democracy. All in all I like steve for upholding Ur profession. Can we also have a lawyer, medical doctor etc tell us how things are in ur professions? thanks for the informed feedback, half man half biscuit. it adds important facts to malawi’s educational history.